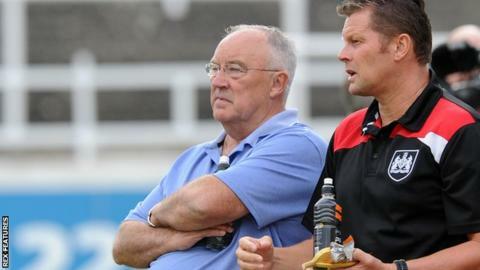 Director of football Keith Burt and academy manager Paul Groves have left Championship side Bristol City. Burt, who previously spent seven years as Nottingham Forest's head of recruitment, arrived at Ashton Gate in 2013 during Sean O'Driscoll's tenure as head coach. Ex-Bournemouth boss Groves joined City as academy manager last July. The Robins are 19th under boss Lee Johnson, who was appointed following Steve Cotterill's departure in January. Following Cotterill's sacking, former Oxford United chief executive Mark Ashton was appointed as the club's chief operating officer.